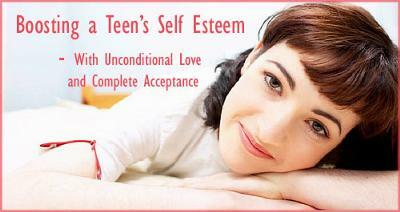 A teenager can, single-handedly, make or break his or her self-esteem. Self-esteem is highly affected by the choices made, even as a teen. It is Friday morning, 9:30 a.m. and the world was a bright and satisfying place for Marsha's Mom. She had worked hard all week and now all the things that had to be done were done. Her husband had asked for a batch of sugar cookies with icing, just the delightful project for today. Her husband was at work in the office and Marsha had left for school at 8:00, she was free! She walked into the kitchen; the sun glinted off of the polished kitchen counter. She loved the smell of a completely polished kitchen, and soon it would smell like warm, sweet sugar cookies. Her favorite part was coloring the icing, what colors would she create today? She planned to paint pictures on the cookies, and write their names on them. Marsha's Mom pulled out the flour and sugar containers; she went to the refrigerator to take out the butter so it could soften. Then, unannounced, the phone rang like an uninvited intruder. She answered, it was Marsha's school - Marsha was not in school today! No one had called and advised she would not be there today, so the school was calling. Marsha's Mom managed to walk around the counter and land in a chair in the family room on wobbly legs. She didn't know what to say, and her voice was not working. The room began to spin while her mind started to look for Marsha, where was she? Did someone pick her up? Had a car ran over her? Marsha was always where she was supposed to be how could this be? She got hold of her tongue and told the school that she would call the police. She then called her husband, hoping he was not in a meeting with cell phone turned off. She asked for Steve, while she waited she remembered how Marsha had wanted a cell phone and she had told her no. Now she wished she had gotten a cell phone for her, it would have been worth the extra monthly charge. It is 8:15 Friday morning; Marsha was walking to school as usual. The sun was shining brightly; she could feel the warmth on her face and arms. She really didn't want to be trapped in school today, with the doors closed, and the teacher's voice droning on about history. Marsha allowed an unmentionable thought into her mind. What if she didn't go to school? No, not her, she is always where she is supposed to be, and an A student. She knew her friends took a "mental health" day and didn't go to school, and there were not bad results that she could see. Her feet left the path that led to school and turned onto the path that let to downtown, where the lights were colorful, bright and flashing. She took her backpack from her back and tried to hide it behind her purse so it was not obvious. Her world seemed so much bigger now; possibilities swarmed around her head like honeybees. She could try on clothes at her favorite department store. She couldn't buy anything; she only had her lunch money. She planned to eat lunch, somewhere. She arrived at the store. She walked in, passed the perfume section; she sucked in the beautiful fragrance and headed for the clothing section. She noticed two women in the shoe department. They were laughing, buying whatever they wanted without a thought. They were well heeled and nicely dressed for two mature women, their gray hair obviously styled at the beauty salon. Marsha felt envy rise within her, and a heat, like anger. It just didn't seem fair, she had very little and had to go to school. She was practically perfect, yet she was not free like those women, to just do whatever she wished, buy whatever she wanted without even looking at the price tag. Marsha tried to talk herself out of the uncomfortable feelings that were rising to her very top. The women had worked for what they had, right? The anger began to pulsate within Marsha's breast. Then Marsha remembered that her friends, when they skipped school, called the school and said they were their Mom and gave an excuse for themselves. Marsha began to panic; she had not called the school! Had the school called her Mom? Marsha went to the little restaurant in the store, sat down and ordered a soft drink. She felt like she was sinking into the chair. 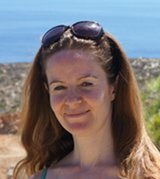 Marsha felt totally lost and hopeless; her self-esteem took a dive. She felt like a criminal who was caught in the net of cheating and ill repute. Marsha had not been in this spot before. She had always been where she was supposed to be. Now she was floating on the sea of the unknown, the sea was black and daunting. Tears threatened to spill from her eyes, she squeezed them back, for a while. Then they slid down her cheeks, wet and warm. Marsha got up from the chair and went to where the pay phone was in the corner of the restaurant. It wasn't there anymore! She just wanted to call home and talk to her Mother; she would know what to do. Marsha asked at the check out if she could use the phone, and was granted her wish. She dialed home, her Mom answered. 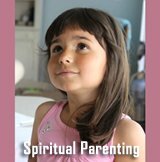 Marsha could tell her Mom was out of breath and had been crying. Her Mom made a squeaking noise when Marsha said hello. Her Mom broke down and cried helplessly. Marsha asked if she could come home, she had gone downtown instead of going to school. Here Mom said, "Yes", it sounded like a determined command. Marsha paid for her soda; it seemed to take longer than a thirty-minute exam to get out of the store and onto the path to home. Marsha was anxious to once again be where she was supposed to be. She rounded the corner to home and her Mom and Dad was on the porch, watching intently for her. When they saw her, they both stood up at the same time. Both parents walked fast toward Marsha. Marsha was not certain this was good or bad, but she was so glad to be coming home she didn't care what the punishment would be. They all embraced, three happy, relieved people crying freely, releasing the tension and sorrow like a river stream. Her parents did not punish Marsha. They explained that punishment makes a child feel bad about herself which is not they want Marsha to feel. They wouldn't gain anything from Marsha feeling like a bad and wrong person. Marsha's parents said Marsha had already experienced the natural consequences of her actions so why should they punish her? It would make no sense! Marsha had just received a valuable life lesson which is worth a lot more than primitive punishment. Marsha felt like her body was suddenly heavy, she was tired and went to the safety of her room. She was grateful for her room, with all her things surrounding her. She longed for time to pass so this all could be forgotten. On the other hand, Marsha also felt very grateful for experiencing her parents' unconditional acceptance and love. All parties knew that what had happened wasn't optimal - yes, she had screwed up - but the fact that her parents could meet her with open arms and hearts was truly amazing. She felt fully accepted and was so thankful for her parents who stood by her, and would still trust her, because she had learned a valuable life lesson. Marsha's sleep was sweet and healing. She was where she was supposed to be. Where Would You Like to Go Next After This Example of Children Self Esteem Stories? 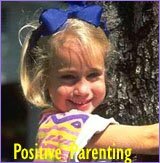 High Self Esteem Children Make a Real Difference with Your Presence - Praise Is just the Helpful Topping. Children Self Esteem Stories: Empower yourself and others by reading and sharing a self esteem uplifting story. Join in and write your own page! It's easy to do. How? Simply click here to return to Children Self Esteem Story.